More speed. More battery life. More memory capacity. Fuel your next-gen laptop. In the ever-changing world of technology, any component more than five years old is usually in need of an update. At seven years old and counting, that‚s where DDR3 memory is at: laptops can only do so much with it. Since the introduction of DDR3 memory technology in 2007, processors have doubled in capability, SSDs have revolutionized throughput, and graphics cards have drastically increased frame rates, leaving memory as a limiting factor. With Crucial DDR4 SODIMMs, crush the DDR3 memory bottleneck and unlock a new standard of performance. Pack more memory into your laptop than ever before. Crucial DDR4 SODIMMs debut in densities up to 8GB, and as DDR4 technology develops, modules are projected to hit 32GB — allowing you to install twice as much memory as you could in a DDR3 system. 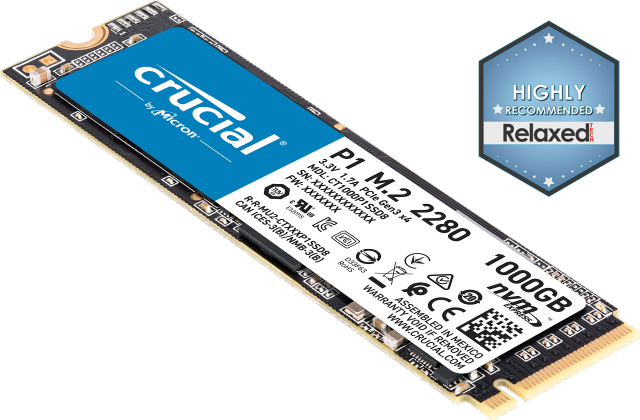 Since laptops only have 1-2 memory slots, high-density Crucial DDR4 SODIMMs allow you to overcome this limitation and install more memory for faster mobile performance. Micron® quality—a higher level of reliability. As a brand of Micron, one of the largest memory manufacturers in the world, Crucial DDR4 memory represents the future of computer performance. From the original DDR technology to DDR4, we‚ve engineered the memory technologies that have powered the world‚s computers for 35 years and counting. When you choose Crucial DDR4 memory, you‚re choosing memory that‚s backed by a limited lifetime warranty and designed for the world‚s leading systems.2 don‚t settle for anything less. 1Product performance and efficiency improvements are noted as comparisons between DDR3 and DDR4 memory technology. As of May 2014, standard DDR3 memory achieved speeds of 1600 MT/s and operated at 1.5V, compared to DDR4-2133, which will operate at 1.2V. When voltage reductions and all other energy-saving DDR4 features are factored in, DDR4 modules are projected to consume up to 40% less power. As DDR4 technology matures, speeds and bandwidths are projected to respectively hit 3200 MT/s and 25.6 GB/s – twice what was possible on DDR3 technology. 2Limited lifetime warranty valid everywhere except Germany, where warranty is valid for ten years from date of purchase. Complete support resouces for Crucial memory. 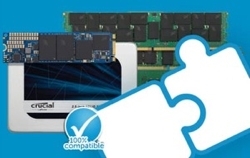 Micron® quality and reliability are baked into every one of our memory modules. Backed by one of the industry’s most in-depth quality testing programs and over 35 years of manufacturing expertise, Crucial and Ballistix modules offer a limited lifetime warranty*. *Limited lifetime warranty is valid everywhere except Germany, where the warranty is valid for 10 years from the date of purchase. It’s rare for customers to return Crucial products, but we offer a 45-day money-back period. If the problems exists after this period we are still here to help. Please contact Customer Support.